i did not know that you had to have eggs in mayo to make it mayo. i also did not know that Mayo originated in france. the text is about a lawsuit that is held by the food company Unilever, because a California company is using the word "mayo" for products which are not made with eggs, the main ingredient in the production of mayonnaise. the company says that they are not cheating their consumers, because they advise people about the absence of eggs as a health benefit. I think that the main priority of the company is about the brand "mayo" more than what people think or the benefits that they could have if the mayonnaise doesn't have any eggs. I think they should have sued the Californian Mayonnaise Company because now days most people use the word mayo instead of mayonnaise. Well beside that reason I am okay but I feel sad for Uniliver for people calling his stuff not a proper name. I think that is why Uniliver is fighting for people calling his stuff the real name. CRITICAL THINKING CHALLENGE : Why does Unilver care what any company calls their sandwich spread? I think Uniliver cares about what other company are calling his sandwich spread is because he wants them to call them by the proper name. Unilever is suing the company Hampton Creek for false advertising the product, "Just Mayo". Mayonnaise is defined as a sandwich spread that contains eggs, however "Just Mayo" has no eggs. Unilever makes a type of mayonnaise called Hellmann's that is the biggest share of the U.S Mayonnaise market. 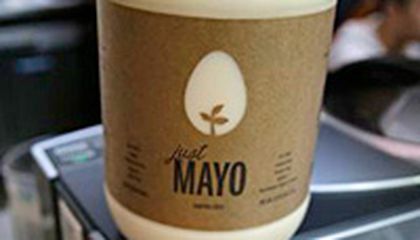 "Just Mayo" responded to the accusations made by Hampton Creek by saying that the recipe not containing eggs is a benefit and does not mislead customer. 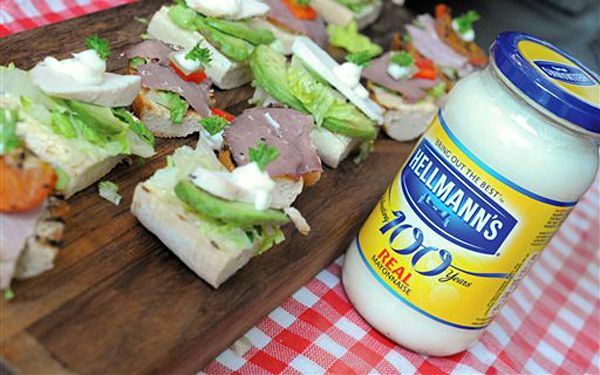 Hellman's does very good, they are worth two million dollars annually and just celebrated their 100th anniversary. I think that Hellman's are making a big deal out of nothing. No customer buys Mayonnaise because it has eggs in it. People buy it looking for a yummy sandwich spread. I was however wondering how much is Hellman's suing Hampton Creek for and do they really think it is worth their time and money. The company Unilever, most known by its products Hellmanns, is suing the company Hampton Creek for calling its mayonnaise "Just Mayo". The reason is that this product is made without eggs, so Unilever claims that it must contain eggs if you want to call it "Mayo". Hampton Creek doesn't deny that its mayonnaise doesn't have any eggs and it told The Wall Street Journal that the absence of eggs in "Just Mayo" is a benefit. I really think Unilever is angry because they think Just Mayo is a threat for them so they could lose money, and of course they feel they have rights to argue because Hellmanns is a very old product, but unfortunately thats how business works. I give my support to Just Mayo and I hope they continue with its business successfully. I think that Unilever cares a lot about this company sandwich spread because it is using the word "mayo" and because this product is advertised as being egg-free. According to Unilever the word "mayo" already means "egg" because eggs are basic in the making of mayo. More than a false advertising, I think that Unilever cares abut it because of the use of the word "mayo". This company is the biggest and most important mayonnaise producer and I think this use of the word "mayo" is causing concern or inconvenience for Unilever. They may lose customers or simply get affected if the quality of the "mayo" spread is not that good. Because of the name anyone could get confused and think this spread is Unilever's. Why does Unilever care what any company calls their sandwich spread? Unilever is the biggest company that possesses mayonnaise as product. During the last years Unilever has deleted eggs as their main ingredient on mayonnaise. Now sandwiches use different brands of mayonnaise and not always Hellmanns. So that the company feels that they are using a name that even though it is in the dictionary and it isnt property of Unilever, it might make a confusion among mayonnaise consumers. This report talks about the problem that had the Unilever Company with the wrong add that they promote in their spots or the fake publicity that they made because the company puts the word "mayo" which implies to spread eggs like mayonnaise. It was a very confused situation and there was a big amount of money involved in this problem. Hampton Creek told in an important newspaper that they didt want to cause a bad impression or a wrong idea about their "Just Mayo" product. In my opinion this kind of situation is not a big problem or something terrible because the didn'tt want to mislead consumers. The company made a mistake but its just that and I am going to keep buying mayonnaise. Unilever (owner from Hellmans brand) is suing another company of Mayonnaise because they say their mayonnaise is egg free, and Unilever say it is kind of impossible that they can call it Mayo if it doesnt have eggs. Personally, I think I should try that new Mayo without eggs, and Unilever shouldn't sue it because of the name, they are already the kings of the mayonnaise market and they shouln't worry about another small brands. Also, a Mayonnaise without eggs its kind of weird, because eggs give it the consistency (or that is what I know in my culinary experience). What makes Hellmanns real mayonaise real? A company is being sued because they use the word Mayo as the name of its product, even though this mayo doesnt have egg in its ingredients. The base of this claim is that mayonnaise contains eggs according to the dictionary, so the suit claims false advertising by the company Hampton Creek for labeling its egg-free product "Just Mayo. If we think about the claim, we cant deny its a little bit true that the label of the product can be a little tricky when we read it, because when I read Just Mayo I think about mayonnaise. On the other hand, I dont think an egg free product is a real problem, but a benefit. I have met some people that are strongly allergic to eggs, so they cant eat anything containing this product. We cant deny how delicious is to eat some sort of food adding a little of mayonnaise, but there is a constant problem when we talk about things that damage our health. We all know that eggs are a good cholesterol source, and having a product without eggs can be beneficial for our health. To fix this problem, I would just add a tag, in which we can express that the product doesnt contain eggs, like Just Mayo, egg-free just to let people know that the product is different from other mayonnaise.